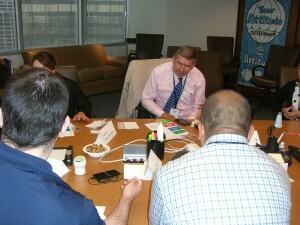 This last week we completed our two-day innovation and work/balance workshop. It was an eye-opening event for everyone that attended including myself. What I learned from the group was that for most of them, they were not that innovative. The workshop was presented as an intensive ‘deep dive’ into how innovation can be a game changer. Our group expressed fearful concerns that developed into a stimulating and productive evaluation of what was needed, wanted, expected, and valued. The fruits of their efforts had an exponential impact on how to look ‘inside the box’ and determine the root cause of the problem they were trying to solve. Everyone was very uncomfortable until they saw the benefit of using unlikely sources to get beyond the rhetoric and find the reality behind all the common myths of trying to innovate. Innovation is how we make money from creativity. And it’s not creative unless it sells. The first concern was that as soon as I mentioned that innovation was disruptive to most ‘business as usual’ organizations the group became defensive. “Our company would never allow it” or “We are not creative” or “We don’t have the funding” or even more concerning was the comment from one attendee, “I am a follower, not a leader.” What we have to learn is that innovation is a process. It is not a singular answer to every business issue. What it does present is a new look at opportunities that are in your path. Shift Happens whether we like it or not. The question is simplistic in nature…are you in control of your ‘shift’ or not? Innovation exploration asks those questions and more. Secondly, Innovation is about improvements, processes, and customer experience. I refer to the customer experience as creating Meaningful Memories (MM). Think about a photo scrapbook of your vacation, your children growing up, your first underwater photos, views of a great sunset, they all invoke memories. The more meaningful the memory the more relevant the experience. Few people keep scrapbooks of things they hate, or discomfort they experienced. MM are the perfect recipes for success. If innovation is the product of discomfort, then I succeeded. MM are the opposite. They are part of our comfort zone. They evoke warm and fuzzy. It’s a new package for tuna. Starkist applied the same technology that is used to package food for mountain climbers and astronauts. By making it shelf stable and easy to open, tuna became a ‘new’ innovation that found repeat buyers and new consumers. 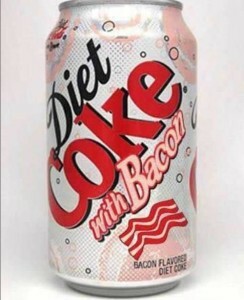 StarKist knew there product tastes good. They simply made it easier to carry and to open. Advertising reminded us that tuna in water was good for you. That made us feel good. And that’s good. StarKist then added flavors to the pouches, found that hanging the product above or near other ‘snacks’ offered more visibility and the possibility to secure new consumers. Innovation may have been disruptive because they changed the packaging but the results were greater market share, higher profit margins, and additional consumption of the product. Third concern was the cost of innovation research. Often innovation is simply better. Everyone likes better. No one says they don’t want better. Spending has little to do with great innovations. Apple spends less than one third of the industry average on R&D yet they have been ranked as one of the most innovative companies in the world. 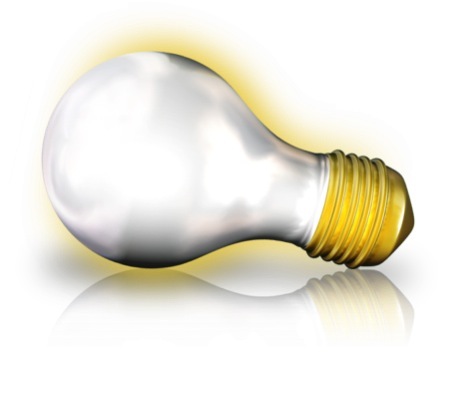 Innovation encourages companies to be efficient. Innovation often comes from within by allowing employees to offer suggestions for improvement in what they know because they are after all at the center of gravity, the epicenter, the core of what they do each day. Sometimes it is as simple as combining two elements. 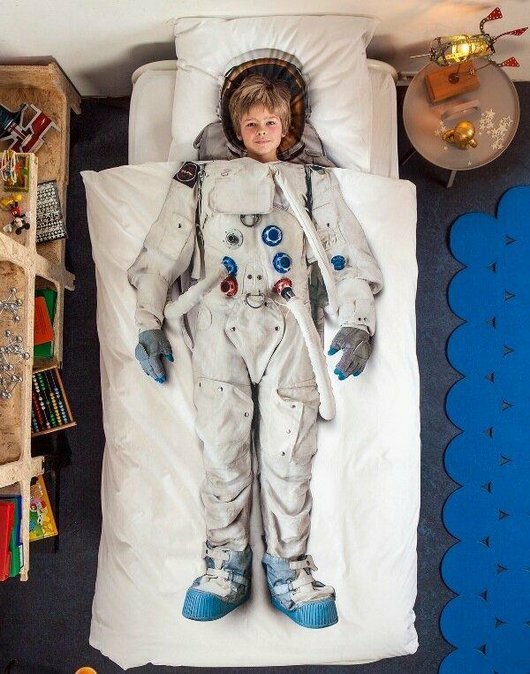 Notice the sheets and pillowcase form a novel spacesuit? Think they charge more for this innovative design? Innovation is cyclical and must not become the buzzword du jour. Every day articles, commentaries, and books, and yes, workshops challenge businesses to innovate. I prefer the three-step process. 1-Investigate the needs, wants, expectations and value to the consumer. 2-Innovate to make the solution understandable and implementable. 3-Initiate if the organization can see a need and fill that need.Sometimes a trend will create new products but often they fail because the consumer neither wanted or valued them. 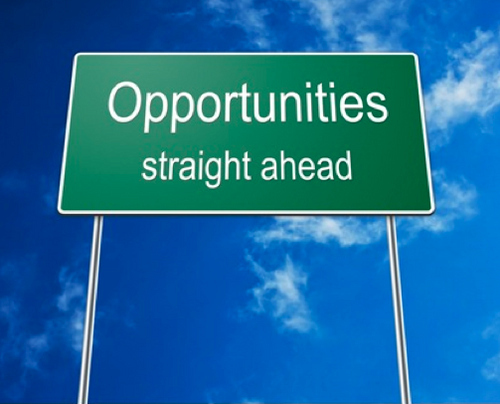 You will never have enough time to investigate all of your opportunities. Find a need. Fill a need. Unrivaled innovation is about finding what the customer values and delivering it. When ever practical ‘test’ your idea. Consumers love to be involved. They like companies that ask for their opinions. And when possible consider your internal customers..your associates. They purchase goods and services and will often provide a quick response to any new idea, product, or service. Failure is the second cousin of success. Even the big boys fail. Innovation is only disruptive when we don’t take small steps. Innovation can lack focus if we create too many choices. Innovation can be simplification rather than complication. Listen to the voice of the consumer and employees. Encourage to think ‘inside the box’. 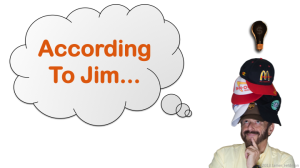 Jim has plain talk conversations with smart people. 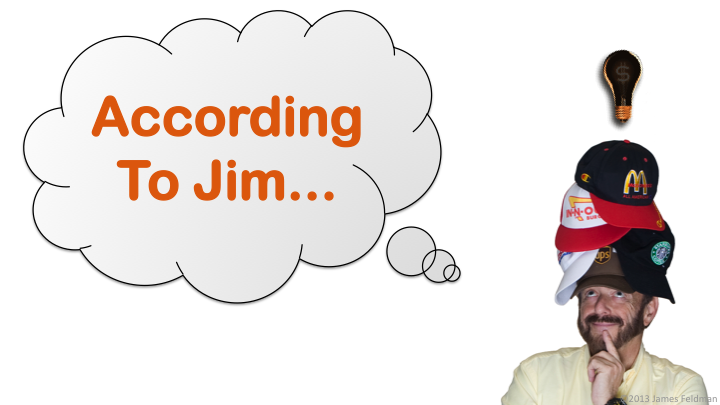 If you have an annual meeting, sales or trade convention, and you want to challenge the audience to think ‘inside the box’ and create innovative solutions give Jim a call at 312 527-9111. Together you can make Shift Happen!. and business topics to help organizations discover new opportunities using existing resources.